when the signal subspace dimensions are underestimated are all presented in detail. derground and urban environments are wide ranging. which is required for Direction of Arrival estimation . its variant, namely the eigen value (EV) method. occurrences are frequent in indoor environments . G. M. R. I. GODALIYADDA ET AL. 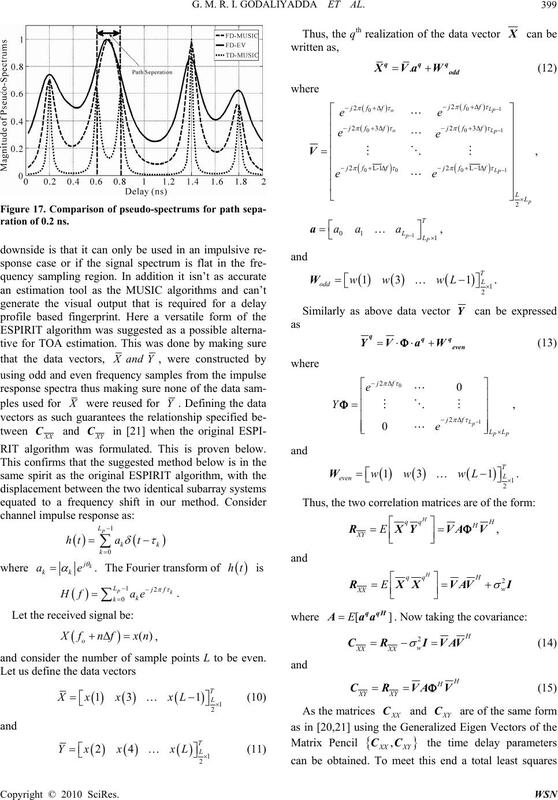 der variety of conditions and constraints. prior to time delay estimation. or location based finger print construction. conclusions drawn from the above analysis. (realizations) or diversity branches remain unchanged. where E[.] is the expectation operator. mount for the MUSIC algorithms. Figure 1. 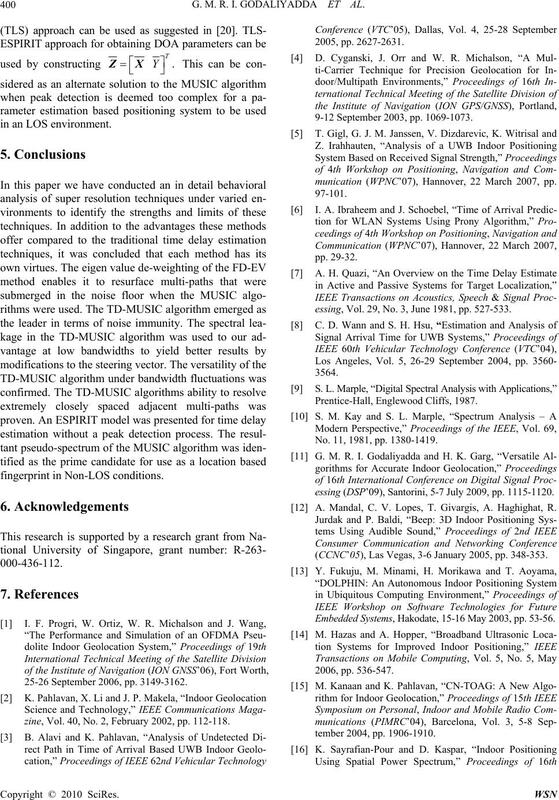 Over shifting of the TD-MUSIC steering vector. is shifted over the upper bound . problems similar to the ones present in GPS systems. location based fingerprints for radio map construction. 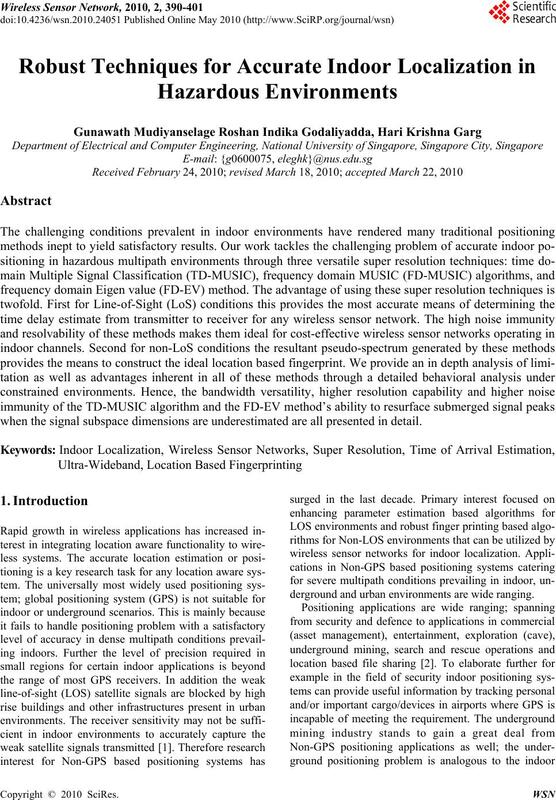 below for comparative analysis among the algorithms. no shape deformation takes place due to normalization. ents (M). 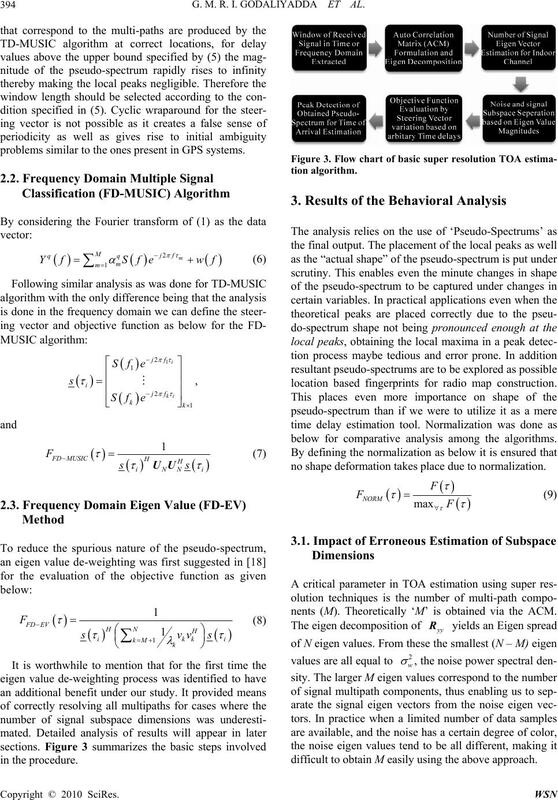 Theoretically ‘M’ is obtained via the ACM. difficult to obtain M easily using the above approach. e dimensions are underestimated as two. and moreover does not guarantee 100% accuracy. 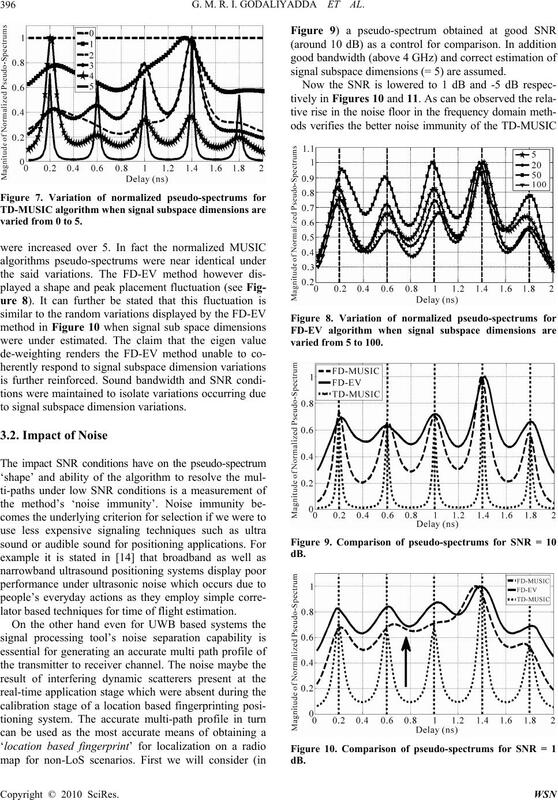 sound BW and SNR conditions). varied from 0 to 5.
to signal subspace dimension variations. lator based techniques for time of flight estimation. 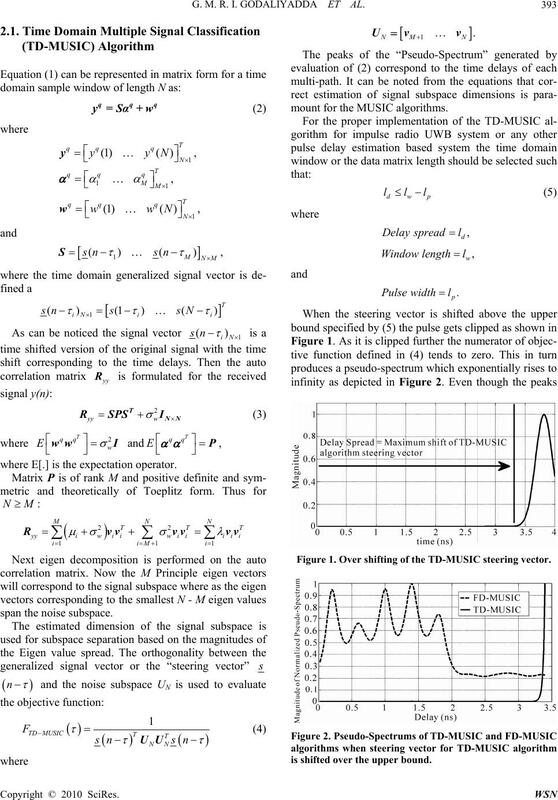 signal subspace dimensions (= 5) are assumed. varied from 5 to 100.
channel bandwidth above noise floor was then tested. 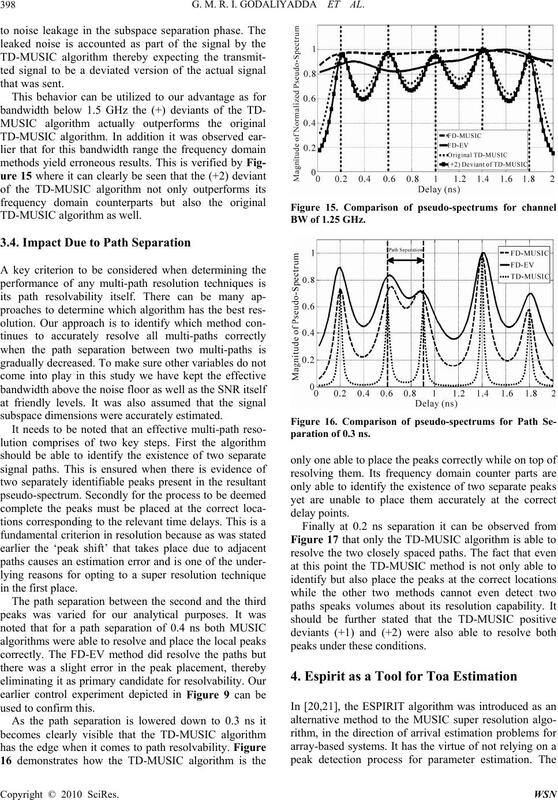 pulse spread of the TD-MUSIC algorithms was varied. 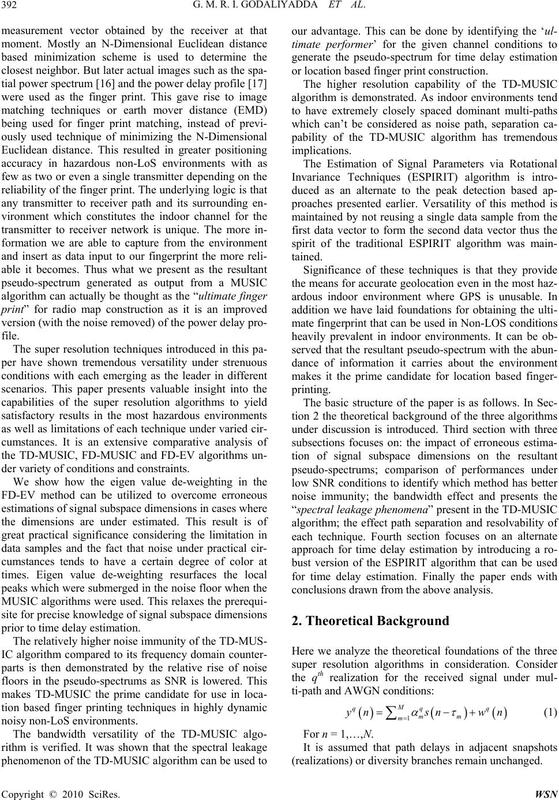 TD-MUSIC algorithm under bandwidth change. 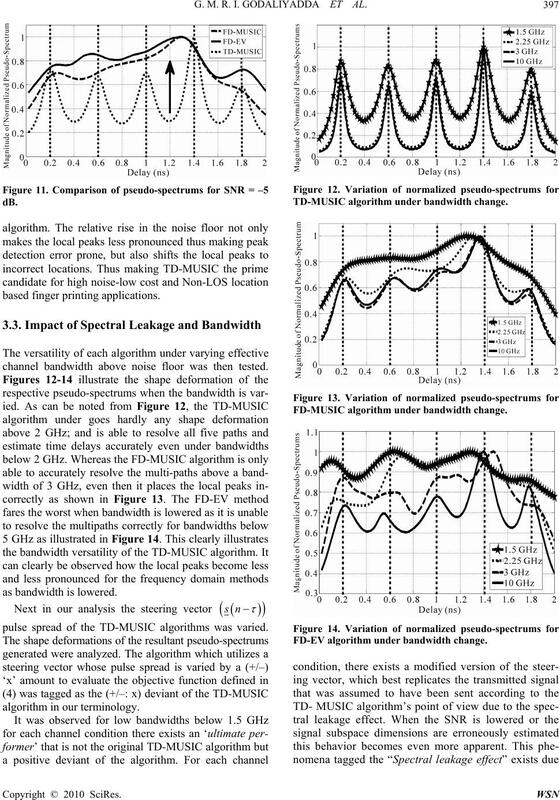 FD-MUSIC algorithm under bandwidth change. 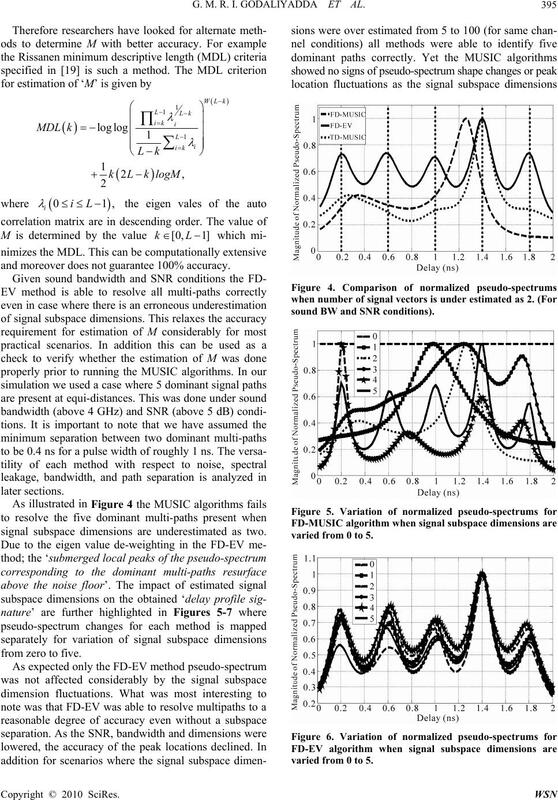 FD-EV algorithm under bandwidth change. subspace dimensions were accurately estimated. RIT algorithm was formulated. This is proven below. and consider the number of sample points L to be even. essing, Vol. 29, No. 3, June 1981, pp. 527-533. (CCNC’05), Las Vegas, 3-6 January 2005, pp. 348-353. 25-26 September 2006, pp. 3149-3162.
zine, Vol. 40, No. 2, February 2002, pp. 112-118. 9-12 September 2003, pp. 1069-1073.
munication (WPNC’07), Hannover, 22 March 2007, pp. essing (DSP’09), Santorini, 5-7 July 2009, pp. 1115-1120. 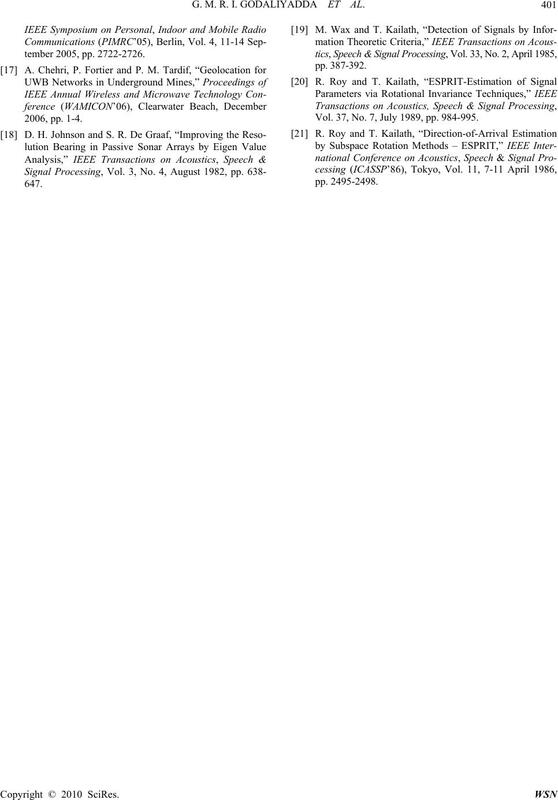 A. Mandal, C. V. Lopes, T. Givargis, A. Haghighat, R.
Embedded Systems, Hakodate, 15-16 May 2003, pp. 53-56. Vol. 37, No. 7, July 1989, pp. 984-995.